The British Safety Council has announced the winners of its 2018 International Safety Awards, which recognise and celebrate organisations from around the world which have shown a real dedication to keeping their workers and workplaces healthy and safe during the 2017 calendar year. This year, 623 organisations of all sizes and sectors won an International Safety Award, including businesses from the UK, Africa, Asia, India, mainland Europe and the Middle East. 15 organisations were awarded a distinction, 183 were awarded a merit and 351 organisations achieved a pass. Mike Robinson, Chief Executive of the British Safety Council, congratulated the winners: “The International Safety Awards, now in their 60th year, celebrate and reward organisations from around the world, which have demonstrated, to the satisfaction of the scheme’s independent judges, a commitment to protecting their staff from being injured or made ill at work. 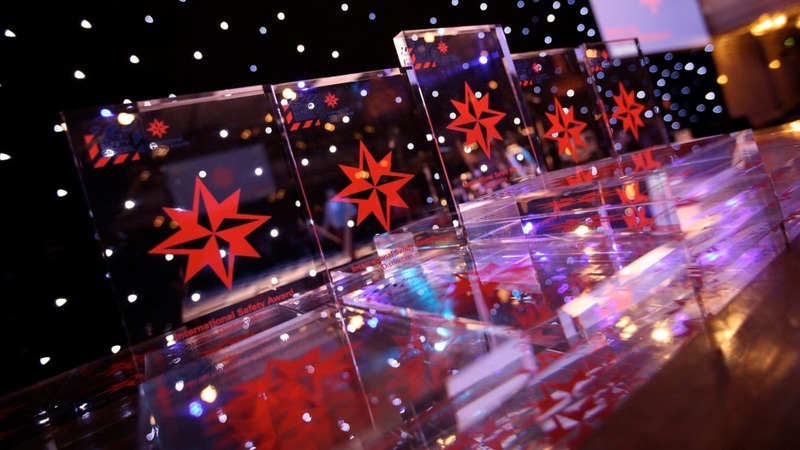 “The long list of winners of the International Safety Awards demonstrates that an increasing number of companies recognise that sensible and proportionate management of health and safety risks is a business enabler. It benefits workers, their families, businesses and society as a whole. By celebrating and sharing the achievements of the winners of the International Safety Awards, we encourage businesses all over the world to follow their lead and place employees’ health and safety at the heart of their business. The winners are drawn from various industry sectors. They include construction and housebuilding companies, such as Ferrovial Agroman UK – Chiswick, Mace – London and Worksolv Facilities Management Ltd; engineering and manufacturing businesses, such as Aston Martin Lagonda Ltd, Aluminium Bahrain and J.E.T. Engineering; transport, distribution and logistics companies, such as Royal Mail Group – Leeds City Delivery Office, Suttons Tankers – Stockton and TAV Istanbul; and oil and mining companies, such as CAN Group – Aberdeen, and Kuwait Oil Company – Export & Marine Fields. The leisure and hospitality sector is also well represented with winners such as Arsenal Football Club, ExCeL London Hospitality and Gulf Catering Company for General Trade and Contracting, Dubai. International winners include China State Construction Engineering, Dubai Duty Free, GAIL (India) Limited, Gas Processing Unit – Gandhar, Indian Oil Corporation and Tanqia Siyana FZC, UAE. Mike Robinson added: “I look forward to celebrating the success of the International Safety Award winners at our spectacular 60th Anniversary of International Safety Awards Gala Dinner, which will be held at London’s Grosvenor House Hotel on the night of Friday 27 April 2018. The keynote speaker will be Mark Bowman, Director of Flight Operations at BAE Systems, and a test pilot with 5,000 hours of fast jet time on 35 types of aircraft. Those who purchase a ticket for the gala dinner before Thursday 29 March 2018 will be entered into a prize draw to spend the night of Friday 27 April in a superior room plus breakfast for two at the Grosvenor House Hotel (terms and conditions apply).